MORTGAGE RATES BACK TO LOWEST LEVELS OF THE YEAR: The bond market closed the week 56 bps higher – pushing rates back to the lowest levels of the year. This ended 2.5 weeks of the bond market going down, pressuring rates higher. 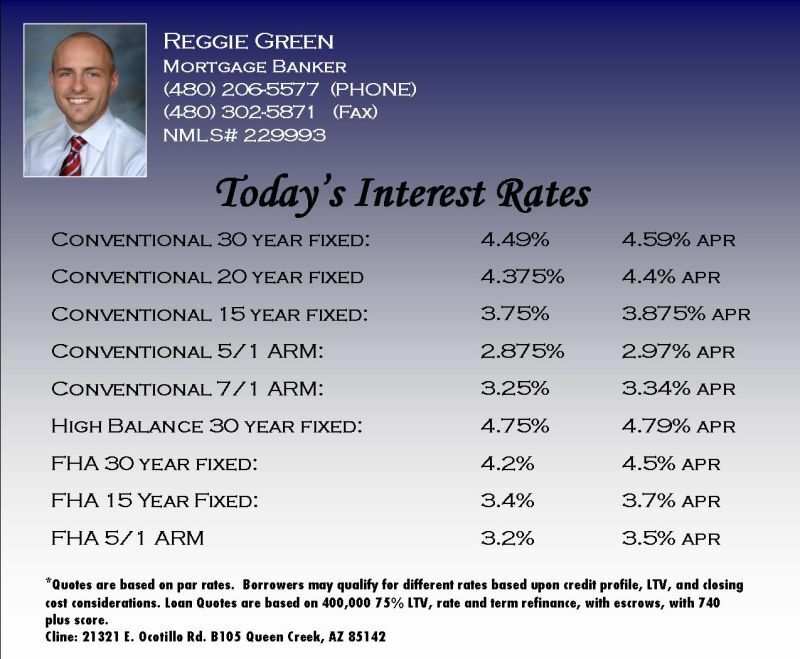 30 year fixed rates are now back to 4.375% with a portion of a point. 20 year fixed loans are back to 4.25%. 5/1 ARMS are down to 2.875%. We are now in the last week of the FED purchasing mortgage backed securities program – QEII. The market will now determine interest rates without the FED manipulating demand. MORTGAGE RATES RISE FOR 2nd STRAIGHT WEEK: The Bond market finished slightly down on the week – ending 6 bps lower. This pushed rates slightly higher on the week. You can still get a 4.375% on a 30 year fixed rate, but it will cost over a point. 4.49% is the par rate paying less than one point. Overall, there is some pressure on mortgage rates right now. The Feds Quantitative Easing measures are about to end, which could push rates a bit higher. Overall, I don’t see rates going much higher or much lower from where they are right now for the foreseeable future. THE FORECLOSURE NUMBERS: According to the US Foreclosure Market Report, foreclosure activity has decreased for the 8th straight month. There are 3 foreclosure activities they consider in their report. Notice of Default is when the mortgage company notifies the customer that they are in violation of their contract and they plan on foreclosing unless payments are brought back up to speed. This can be given out after 3 months of late payments. 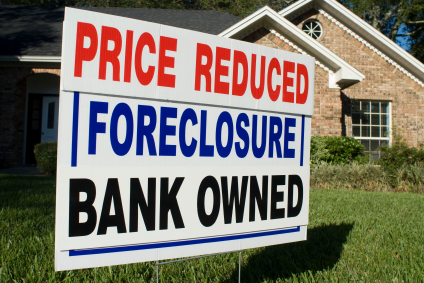 Foreclosures scheduled is when a home is scheduled to be taken back by the bank. REO is when the bank takes back the home and it becomes part of the banks inventory. Although the foreclosure activity has decreased, the results can be misleading. Many lenders are delaying foreclosure proceedings for various reasons associated with their own process and procedures as well as market considerations in the area where the homes are being foreclosed in. If they keep pumping more REOs into the market when their current inventory is high, it will push down the values of their existing inventory. Also, even though the inventory of homes in the foreclosure process has decreased steadily over the past 6 months, the inventory of REOs is increasing. This is because the amount of REOs being added to the market is outpacing the amount of REOs sold. This points to a still struggling housing market where the demand is not on par with the supply. The states with the highest foreclosure rates in order are Nevada, Arizona, California, Michigan and Georgia. MORTGAGE RATE RALLY STALLS: Mortgage rates rose slightly as the bond market closed lower for the 2nd time in 8 weeks. The bond market finished down 34 bps on the week. This affected interest rates by raising the cost to get each rate by about .25%. Par rates have remained steady for a number of weeks – right now they are just a bit more expensive. 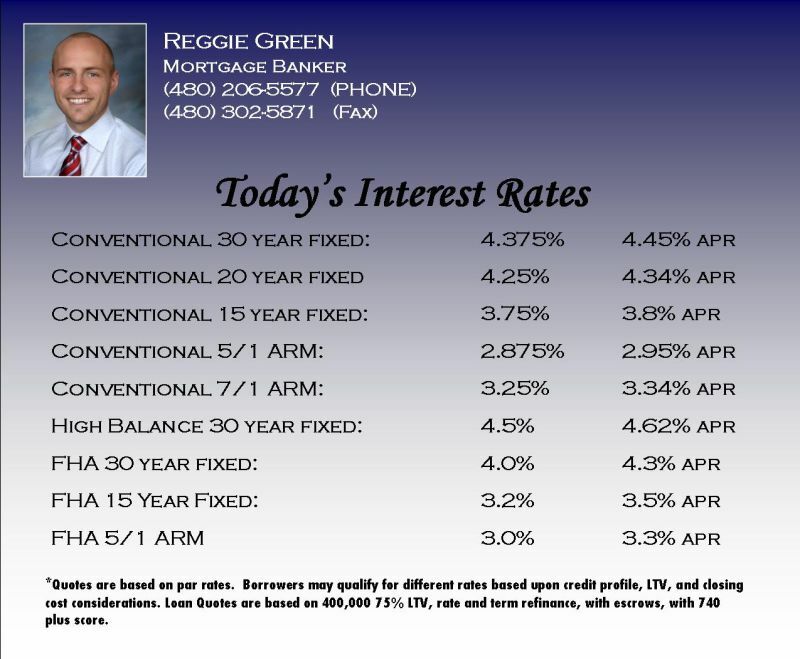 A 30 year fixed rate is still at 4.375%. 15 year fixed rate is at 3.75%. 5/1 ARM rate is at 2.875%. Interest rates have seemed to hit their bottom. Rates will be tested this week with a lot of economic reports and information due out. THE HOUSING NUMBERS: According to a new report from CORE LOGIC, 22.7% of all homeowners in the United States owe more on their mortgage than their home is worth. That translates to 10.9 million homeowners. Another 2.5 million homeowners are very close to being underwater – having less than 5% equity in their home. The state with the highest percentage is Nevada, with a staggering 63% of their homeowners being upside down. Arizona follows closely behind with 50% of their homeowners being upside down. Remember that after 2012, you will be taxed on losses associated with a short sale or a foreclosure. If you are going to do it, you might as well get started. MORTGAGE PRICING CONTINUES TO DROP: Mortgage rates / pricing went down for the 6th time in 7 weeks. The bond market closed 50 points up last week, lowering pricing on most loan options by approximately .4 pts in cost to get the loan. Though pricing is down, most of the par rates are still the same, just a bit cheaper to get in closing costs. Be cautious in waiting too long right now. 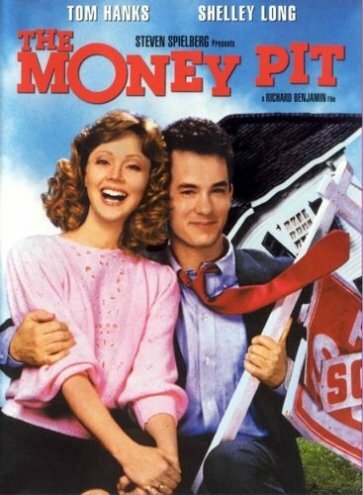 The Fed is discontinuing their mortgage backed securities program this month. By the FED not pumping money into keeping interest rates low, we could see a rise in rates at the end of June. I would lock in pricing if you are satisfied with a rate. MORTGAGE RATES DROP, BUT BE CAUTIOUS: For the 5th time in 6 weeks, mortgage rates and pricing have dropped. The bond market ended the week 47 bps higher – pushing rates lower. The 30 year fixed par rate has dropped to 4.375%. 5/1 ARMs have dropped to 2.875%!! But beware, there are signs that rates could have trouble this week. There is optimism that a deal working to help Greece with their debt issues will go through. This could mean trouble with the bond market, pushing rates higher. THE DREADED DOUBLE DIP IN HOME VALUES: According the March S & P / Case Shiller Home Price Index, much of the nation is in the midst of a double dip in home values. After being down for a number of years, price levels rose recently driven by the Federal Tax credit for new home buyers. Since the tax credit ended, prices have steadily dropped in most areas. Across the country, home values are down 4.2% over the 1st quarter of 2011, and 5.1% down since March of 2010. 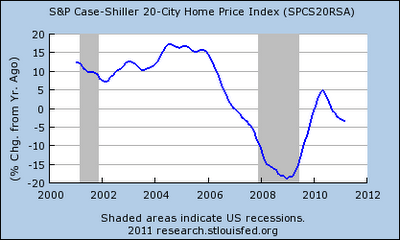 The average price of a home is now down to 2009 levels and if adjusted for inflation, down to 1999 levels. I personally think this is a great market to buy a new home. Prices are low, rates are great. If you are looking to purchase a long term home, you can get on a 30 year fixed rate and ride out the fluctuations in the market. Is this the best market to have owned a home for a number of years? – I don’t think it could be much worse. Good news is many people can still refinance at up to 105% of what their home is worth and still get a great rate.